Allegations of lopsided recruitment, forgery and fraud have rocked Nigeria’s Institute for Peace and Conflict Resolution (IPCR) since President Muhammadu Buhari appointed Bakut Tswah Bakut as the acting director-general, investigations by Global Sentinel revealed. With evolving conflicts and insecurity across the six geo-political zones of the country and highly anticipated general election three weeks away, the institute with the core mandate to “promote research and facilitate conflict prevention, management and resolution within Nigeria and Africa” has no substantive director-general and governing council chairman. 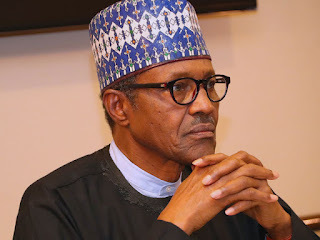 President Buhari has yet to renew the tenure of Oshita after the expiration of his first term in office. Findings revealed that since Bakut assumed office in August 2018, the institute has been on either lock down or slow motion due to supremacy battle between him and members of the governing council who were to supervise the activities of IPCR. Sources who were concerned about the development informed Global Sentinel that apart from the alleged refusal of Bakut to submit himself to the governing council for scrutiny, the crisis rocking the institute include questionable recruitment and appointment, corruption, suspicious qualifications and suspected forgery case. Further investigations unveiled a deepened power play crisis that have affected the IPCR to function effectively as the hub and indispensable reference point for federal government, international organisations and donors for conflict management, insecurity, violence prevention and mitigation. Stakeholders who spoke on the condition of anonymity stressed that the issue at stake is at core of Buhari’s administration tripod of economy, security and anti-corruption. Several documents obtained by our reporter including petitions to the ministry of foreign affairs (MFA), office of the secretary to the government of the federation (OSGF) and Independent and Corrupt Practices Commission (ICPC) as well as internal correspondences between the acting director-general and other actors in IPCR indicated a state of uncertainty in the affairs of the institute. Sources also alleged that “there is credible information that Bakut has no formal letter appointing him as acting director-general since the exit of Oshita. Bakut has no formal letter requesting him to takeover in acting capacity either from SGF or MFA. “This is one of the pointers that he was verbally elevated and planted to do a messy job for some unknown sources. Unfortunately, for them he is not qualified and lacks the capacity to lead the institute”. According to multiple sources, trouble started when Bakut sidelined other members of the IPCR’s governing council in the affairs of the institute but only deferred to the chairman of the council, Mohammed Abba Aji, who had already decamped to the Peoples Democratic Party (PDP) as the senatorial candidate for Borno central. The council members were particularly irked by the fact that they were not only side stepped by Bakut who prefers to deal directly with Abba-Aji. They were also angry that the council chairman had on several occasions failed to honour meetings he summoned while Bakut has allegedly refused to cooperate with other members of the council including: Carol Arinze-Umobi, Peter Afum Agasokoa, Jummai Mahoumed, AS Yusuf, Aloysius Nwibo, Hauwa Baba Ahmed, Adeolu Adewumi, and Hon. Alex Ikor. “He has been running a one-man show with probably the support of the outgone chairman of the council, senator Abba-Aji, and when he left, Bakut quickly sought the support of Khadija Bukar Abba-Ibrahim, the immediate past minister of state for foreign affairs, (who also resigned later on to contest the forthcoming election) to carry out his illegitimate activities,” a source said. Things came to head in December 2018 when the council members, enraged by what they perceived as constant disregard for the Act setting up the Governing body, declined the “summoning” order to attend a ‘valedictory’ IPCR meeting by Bakut at the instance of Abba-Aji.